Yes, the Mattel Fast & Furious cars are showing up here in Malaysia. The problem is, they only seem to be available through a refreshment package “deal” at one cinema chain. I was fortunate enough to pick up the Charger Daytona before the usual suspects discovered the offer, since the local cinema’s stock for the week sells out within 30 minutes of opening on Monday nowadays. I reckon cinema management must be happy, since a 22oz drink, a 46oz bag of popcorn and the car cost RM30 total after taxes. 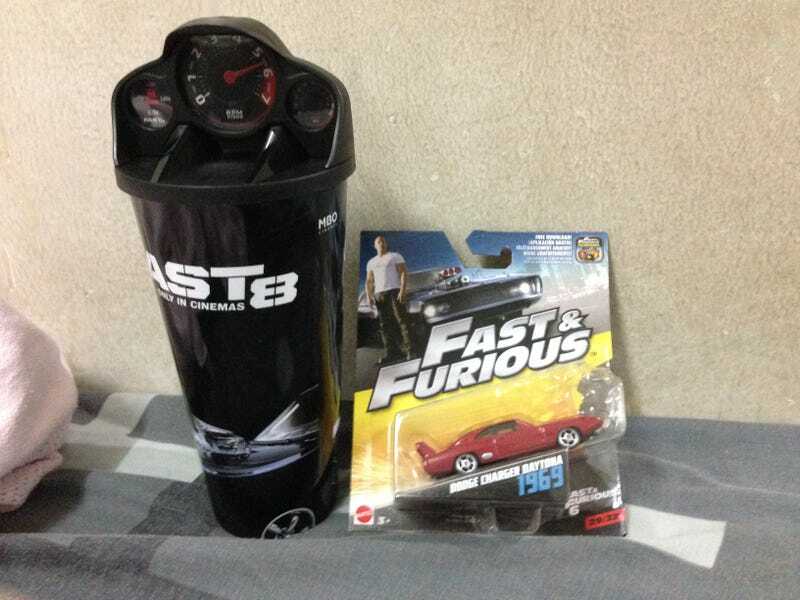 In other words, once you subtract the price of the popcorn and drink, the car still costs RM19. Boutique brand or not, I hope Mattel rolls these out here aggressively just to stop the madness. On the other side of the demand scale, I’ve noticed some Muscle Machines Build-Ups sets featuring Dodge Dart Super Stock Hemis warming the shelves at some stores I’ve visited. I’m not exactly familiar with this brand, short of hearing that it was originally created by the minds behind M2 before being sold to Maisto, so could anyone fill me in on this brand’s history?